Byers Technical Institute is dedicated to providing individuals with the knowledge and hands on training to enter the workforce prepared for a successful career. Our focus is to provide technical training and impart a positive work ethic necessary to meet and exceed industry standards. BTI is committed to keeping pace with the ever changing industry demands and advancements. Student success is the number one priority. The purpose of Byers Technical Institute is to respond to the educational and training needs of the communities we serve through cooperative efforts with businesses, schools, organizations, government, students, and prospective employers. BTI provides educational opportunities through curricula in practical technical programs that are designed to prepare a student for direct entry into the workplace upon successful completion of the program. We offer up-to-date programs while providing a great foundation on which students can build a career. 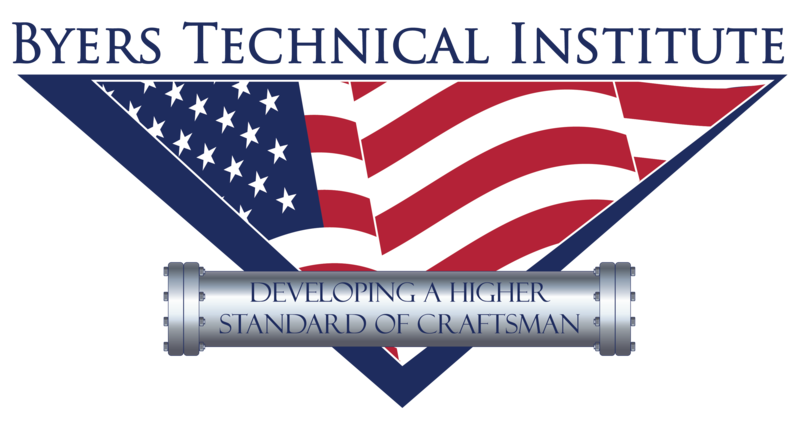 As the demand for well trained and qualified trades people continues to increase, founders Tim and Ron Byers (President and Sr. Vice President of Byers, Inc.) had a vision to help fulfill this demand by opening a technical training center. This vision became a reality when Byers Technical Institute opened in 2017. BTI is certified by the State Council of Higher Education for Virginia. A member of the National Safety Council, American Welding Society and the Better Business Bureau.